Ski Holidays to Vars in France 2017 & 2018. Vars is a French ski resort situated close to the Italian border and is made up of 4 villages located in one of the largest ski slopes in the Southern Alps, namely La Foret Blanche. The highest and the largest of the 4 villages is Vars le Claux which has most of the resort’s facilities. The other villages are St Marcellin (which was the old village), St Marie (where the first ski lifts were installed) and St Catherine which is a small settlement on the mountain side. The resort can be reached from Nice, Turin, Grenoble and Lyon airports. Nice is well served by low airlines and the transfer time from here is around 90 minutes, making this a great short break destination. Accommodation is really well priced with studio rooms for up to 5 persons from under £100 a night! For those looking for catered options, good value can still be found with full board options from less than £50 per person per day, so this is definitely a good choice for those on a budget. 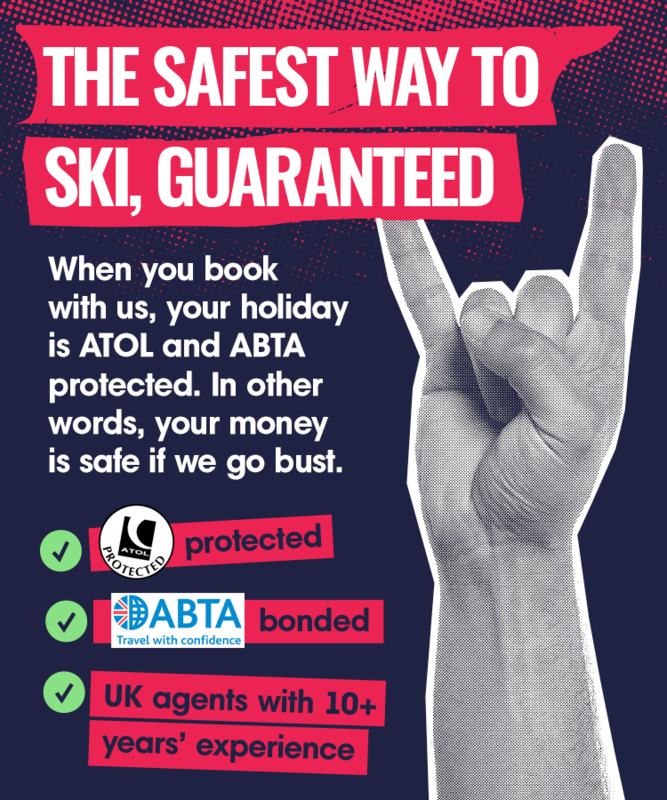 Add in a low cost flight and this could be one of your cheapest skiing holidays yet. It is a quiet and traditional resort and although less well known, it usually has a good snow record. Nevertheless, being in the Southern Alps means it has plenty of sunshine and claims to have over 300 sunny days a year, with sun on the slopes up to 12 hours a day at times. As the slopes face east, north and west, it tends to retain good snow cover throughout the season. The ski season is still a long one stretching from early December through to early May. It does enjoy abundant snow falls but can also offer 15 snow cannons which are used to supplement the natural conditions towards the end of the season. The resort is renowned for speed trial championships, but essentially it is a resort for intermediate level skiers. Being less well known (it does however attract a strong local contingent), it is quieter and much less crowded than many other French resorts. The quieter status means that it tends to be a very friendly resort, offering much better value for money than more popular locations. This also mean that lift queues are almost non-existent, which is a big plus point for French skiing. It is not one of the highest resorts and only reaches up to 1,850m, but it does give access to runs above 2,500m. This means that the resort has access to 180km of skiing with a range of pistes which is excellent for groups of mixed abilities. There are gentle nursery slopes lower down that have wide slopes above the tree line for intermediates and then some 11 black runs, with a good off piste selection for advanced skiers too. Often the beginner and intermediate runs go side by side allowing mixed abilities to enjoy runs together . These runs are often tree lined and very scenic. There is something for snowboarders as well, the extensive snow park included in the resort area is a popular haunt. Vars is closely connected to Risoul and its 33 lifts give skiers easy access to the whole Foret Blanche ski area. The resort does have a ski school with around 100 instructors, so it is a good choice for first timers. The main village of Vars Le Claux provides good lift access to the whole ski area. This is not a resort that offers dazzling nightlife, but the quiet, laid back style will appeal to families and groups. There are still approximately 20 bars on offer and a handful of discos, however it lends itself to more traditional charms without the huge price tag. Facilities are fairly limited and tend to be sited in the main village of Vars le Claux which has a selection of bars, shops and restaurants covering all the basics. There are 2 shopping arcades with the majority offering ski wear, sports goods, clothes and souvenirs – plus there are also a couple of supermarkets, bakeries and a post office. If you fancy a change other activities on offer include ice-skating, ice-climbing, tobogganing, dog-sledding, a games arcade or the more relaxing cinema. Vars is a great choice for people who want to get the best out of their skiing, like the charm of the Alps but without a huge price tag and would like all this packaged into an unspoilt location. This is indeed a hidden gem, although how long this will remain so is unknown. At the moment it is a great place to ski without the crowds.